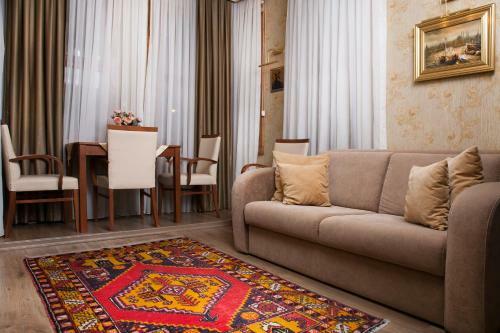 Centrally located near the main attractions around Sultanahmet. Confortable place. Location. Please tell and helpful host. Access to public transportation. Great location! Very close to Blue Mosque etc. The room was clean and spacious. The room was upgraded from what I booked and stayed in a bigger room, but it was on basement floor. Access to shops, public transation stations and some interacting places such as Hagia Sophia, Blue Mosque was very good and about 5-10 minutes walk to arrive. Nice, honest and friendly owner. Brilliant location! 5 min to the sea, 10 min walk to the city center. Nice apartment - not very new, but comfortable. One of our best sellers in Istanbul! 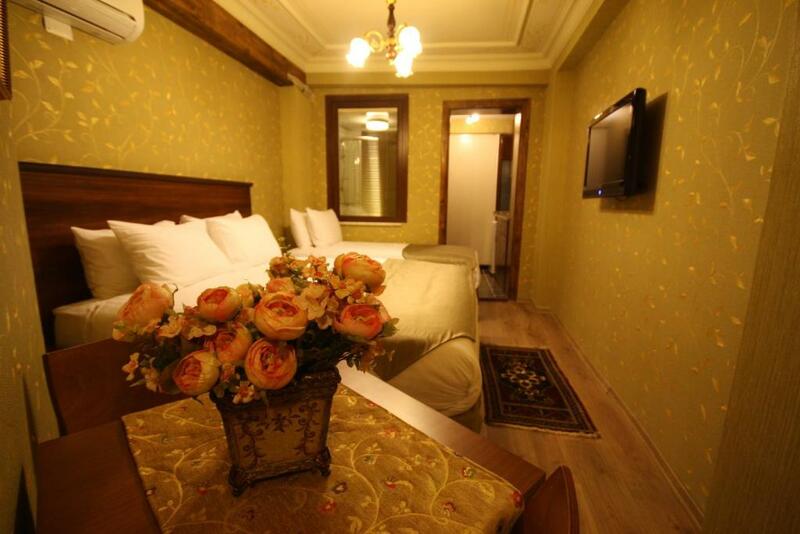 Located in the historic heart of Istanbul, the Sultanahmet Suites offers spacious accommodations with free Wi-Fi less than a 10-minute walk from the Blue Mosque. All rooms and suites include a bedroom and a dining area for 4 people. They come equipped with air conditioning and LCD TV with satellite channels. 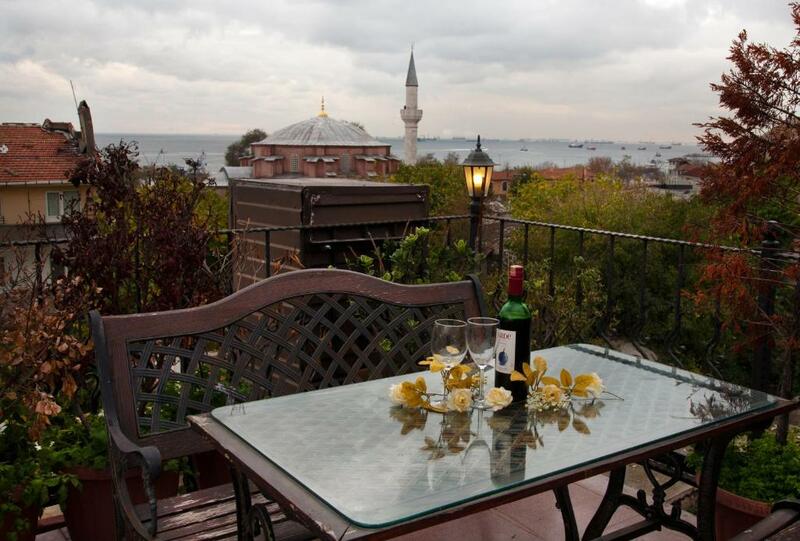 Some rooms have a furnished balcony overlooking the Sea of Marmara. 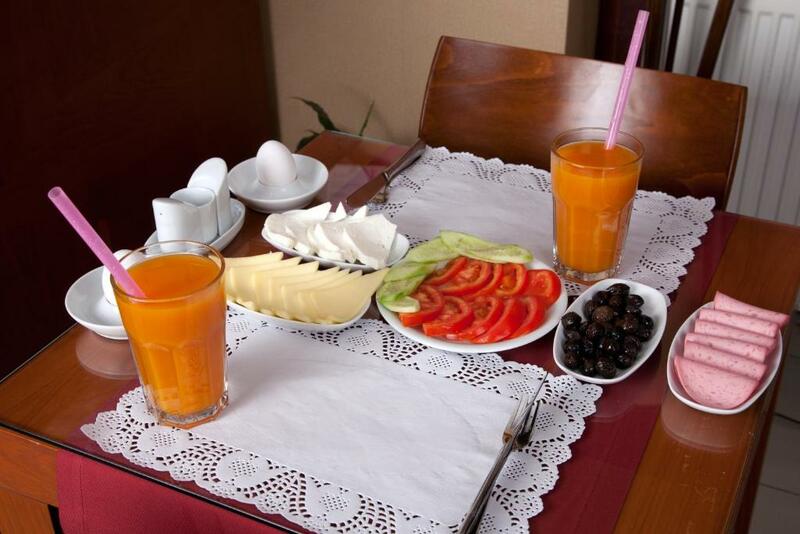 A traditional Turkish breakfast can be enjoyed in the on site restaurant. 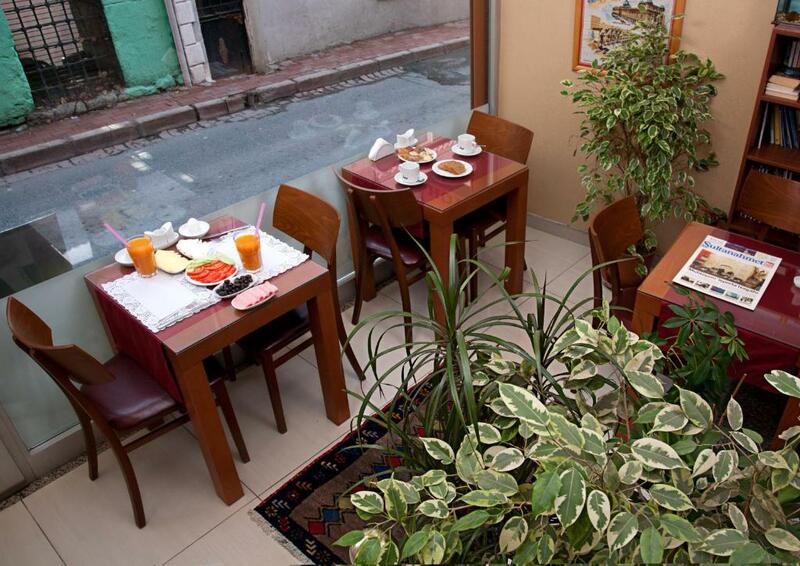 The authentic Turkish restaurants of the Sultanahmet District are a few steps away. 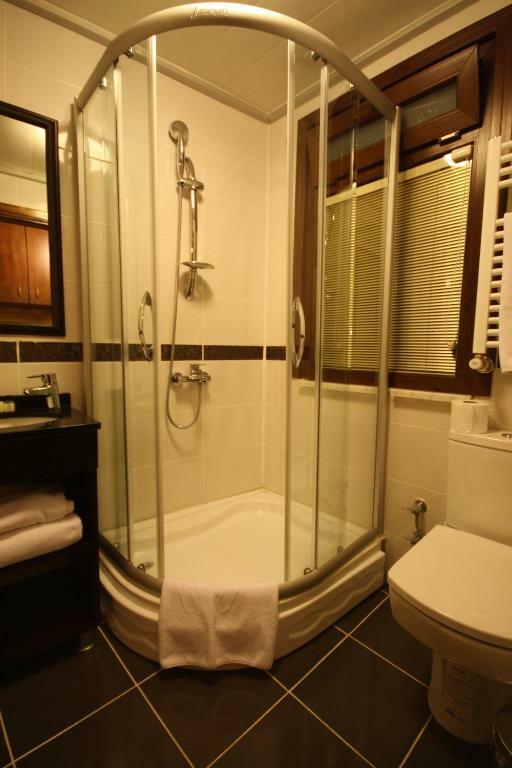 뀐 Located in the real heart of Istanbul, this property has an excellent location score of 8.3! 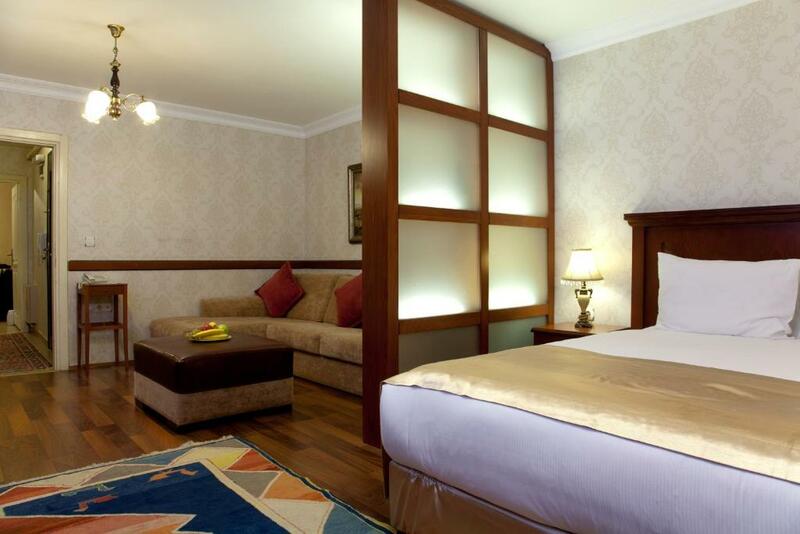 When would you like to stay at Sultanahmet Suites? The Standard Suite includes a sitting area, hand-made carpets, a 4-seater table and well-equipped kitchen. This spacious suite includes a sitting area, hand-made carpets, a kitchen with 4-seater dinner table and panoramic Sea of Marmara views. This special rate is only applicable to bookings paid in cash upon arrival. With a balcony and city views, this suite has 2 bedrooms, a living room, 2 bathrooms and a kitchen. Each room has air conditioning and an LCD TV. Attentive and friendly staff are always eager to help with any queries or requests you might have. Once you've stayed with us, you'll understand our competitive prices offer better value than larger hotels. You'll feel more relaxed in our Apartments where the reception staff to guest ratio is much higher, and the chance of noisy guests is reduced. 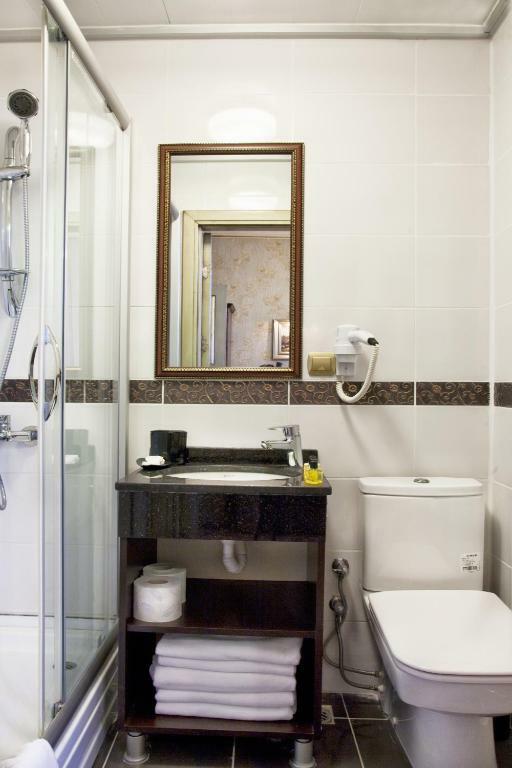 You will really enjoy staying in our quality hotel which is full of charm, and the owners work hard to create an intimate and friendly atmosphere. Blue Mosque, St. Sophia,Grand Bazaar, Underground cistern, Topkapı palace..
Area Info – This neighborhood is a great choice for travelers interested in monuments, architecture and old-town exploration – Check location Great location - show map Guests loved walking around the neighborhood! House Rules Sultanahmet Suites takes special requests – add in the next step! Cash Sultanahmet Suites accepts these cards and reserves the right to temporarily hold an amount prior to arrival. Sultanahmet Suites accepts these cards and reserves the right to temporarily hold an amount prior to arrival. For payments with a credit card, there will be an extra charge for the credit card commissions. For more information, please contact the property. Contact details can be found upon booking confirmation. All rooms at Sultanahmet Suites are non-smoking. Smoking is acceptable in the public areas. Please inform Sultanahmet Suites of your expected arrival time in advance. You can use the Special Requests box when booking, or contact the property directly using the contact details in your confirmation. It wasn't quietly enough in the flat - we heard everything what happened at the street, even at night. The manager Mr.Dennis should be more professional. I discovered that good customer service is lacking in Turkey. In general they are more money / sale driven than building good relationships. I requested my checkout time for 1 hour later but my request was declined. All because I did'nt use the in house tour company and the manager was very verbal that i am now requesting a favour but I didnt book any tours with them. With the result I checked out on time and waited 1 hour in the road for my airport shuttle collection. I definately wont be a returning guests and sincerely hope that management will improve their customer service skills for future guests. The following should be upgraded: kitchen supplies, eg: crockery (cup was cracked) , cutlery, stove was not working, wall plugs are loose and needs repairs, telephone was not working for to make external calls. Cleaners don't clean properly or sweep the room and don't make up the bed unless you don't remind them. It is a safe area and easy access to Sultan Ahmed sq and blue mosque by foot. However, the taxi's always got lost finding the boutique hotel and always late with a pick up. If you enjoy walking I would recommend the location however, not ideal for an elderly person or anyone that has leg issues. Route to the Location. Specially with kids and stroller, it's v v hard to climb up the mountain to reach sultanamet main areas. The staircase is also not too safe for kids. No lifts. Everything else. huge apartment, sofa bed, Kitchen area with all required items with microwave, Cleaning, room service, staffs, everything was wonderful. Room had AC and heater too..
it was an amazing hotel 24/7 service desk ready to help you... Everyone in this hotel was so nice with us specially manager nice lad! room is spacious with separate sitting room. it is a small hotel apartment with all that kitchen stuff. 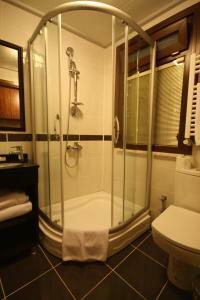 Very spacious room, everyday cleaning service, excellent location , people in the reception were super helpful and kind! I would definitely stay there again! Everything was perfect. The room is spacious and modern decorated. The reception is in other building around 200-300 meters. The hotel building is situated on perfect place - just behind the Sultanahmet camii. We will stay there definitely again! 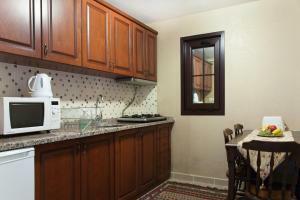 It has a perfect location near the centre and all the touristic attraction places. The host were super nice and very friendly. Graveyard opposite our room can be seen from Windows. However everyone has to leave this world one day. The apartment was very clean and well specious with good size bathroom Room service was every day to clean and change towel. Staff was very friendly and helpful. All the attraction was only few Minutes walking distance. Apartment had everything we need fully equipped. So many restaurants, supermarket and gift shop was just a minute walking distance. You will find everything is so close. We didn’t get the room we had booked, but we were happy with it nevertheless. Rooms were cleaned daily, central location and the snack on reception was very helpful. Terrible staff. Bad experience with them. Don't trust them specially when they promote the tour to Bursa. Staff was super rude, they even scold me when they can't arrange the airport shuttle to me. They just Wan ur money. After receiving ur money, they show the real face cover by the fake mask. Nothing to like. Ruin my holiday because has trusted them during checked in. The trip arrange by them was sucked and I found that is more expensive than other travel company.